Virtual reality may seem like fun and games but is quickly becoming serious business at career fairs and recruiting events. Recruiters are increasingly using virtual reality to target the right candidates with the right skill sets. While recruiting still relies heavily on resumes and interviews, companies that need skilled workers and are having a hard time finding the right candidates are turning to technology to help them fill the gaps. According to Dan Schawbel, a Forbes magazine contributor, the gap between the skills employers need and the skills candidates possess is growing. In 2017, there were 6.2 million job openings in the United States that went unfilled, an increase from 5.6 million in 2016. Not being able to find the right workers who have the right skills at the right time slows economic growth and can cost a business more than $800,000 in lost productivity and advertising costs. What’s causing the problem? Change in the workplace is happening too rapidly for traditional educators to keep up with the demands for cutting-edge skills. In 2017, the half-life of learned skills was only five years. Companies like AT&T are telling employees their current skills will not be relevant in ten years. Those are daunting statistics. So, what is the solution? Companies need to provide ongoing training to upskill their current employees. For example, AT&T launched a program that helps upskill their workers by teaching them relevant skills as they emerge. According to IBM, 84 percent of employees at the top performing companies receive ongoing training. Comparatively, only 16 percent of employees at lower performing companies are receiving this type of continual training. And as Generation Z enters the workforce, there will be an even greater skills gap because many of the jobs they need to fill don’t even exist at this point. The rise of artificial intelligence (AI) in the workplace will continue to increase, making many jobs obsolete but opening the door for other jobs. Chatbots, programs that facilitate text conversations, are becoming more prevalent as companies look for ways to cut salary costs and improve efficiency. The new workforce is accustomed to using technology and sees it as a positive step for any company. Consequently, recruiters are now using virtual reality (VR) to recruit, train and retain younger employees. 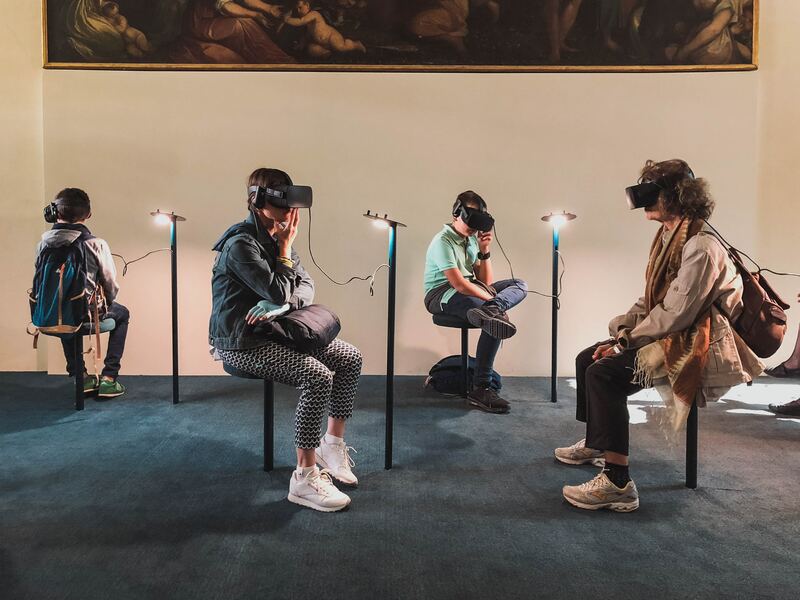 For instance, Jaguar has created a free mixed reality app that lets potential candidates listen to a virtual band while learning about electric vehicles and playing code-breaking puzzles. Candidates who like this approach are more likely to apply, and those who do exceptionally well at the code-breaking are fast- tracked through the recruiting process. What this process does is test for skills instead of relying on qualifications alone. Virtual reality also allows a candidate to experience the company culture firsthand. Candidates can experience a meeting, play games and get a feel for what it would be like to work for a company before making a commitment. Some companies use VR headsets to weed out those who would not like the jobs they have available before hiring them and finding they are not a good fit. Even the military is using VR to show potential recruits what it feels like to drive a tank. 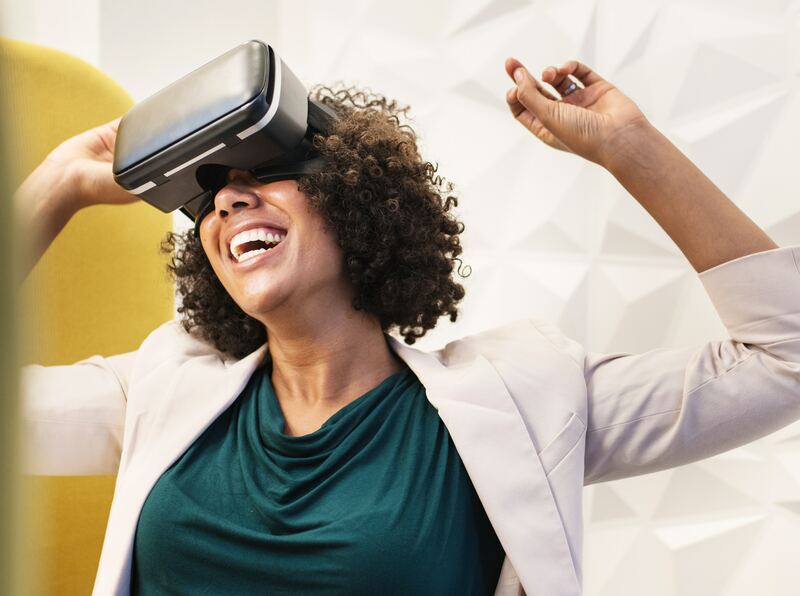 Whether using headsets at career fairs, games that mimic job skills, or a virtual tour that immerses the candidate in the company culture, VR has become an important recruiting tool for identifying the right candidates with the right skill sets. Training using VR has been used in hospitals, medical schools, and occupations where exposure to a real-life scenario can be dangerous. Walmart uses VR training for its midlevel managers to expose them to rare but important situations and gauge their responses. Both millennials and Generation Z candidates are eager to learn new skills through technology rather than traditional educational methods. Virtual reality lets them experience a scenario in real-time and be able to learn quickly how to respond to solve the problem. So, be prepared to see more VR headsets at career fairs, recruiting events, and company training. VR provides that real-life punch that other methodologies cannot deliver.